It’s the last week before the end of Ramadan! 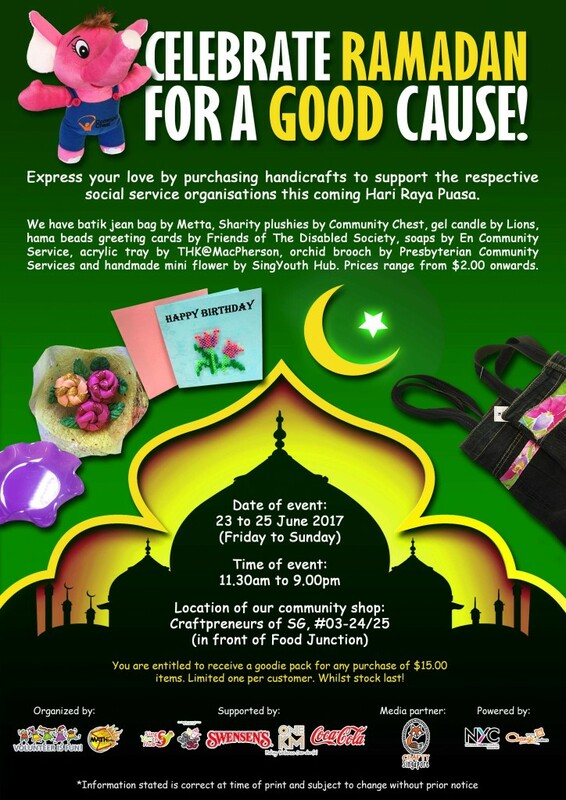 Hurry down to OneKM’s to do your Hari Raya shopping for a good cause. You are entitled to receive a goodie pack for any purchase of $15.00 items. Limited one per customer. Whilst stock last! Our list of products from Metta Welfare Association, Community Chest, Friends of The Disabled Society, En Community Service, THK@MacPherson and Presbyterian Community Services.